We have in-depth domain knowledge and experience in offering quality assured range of Walking Stick. 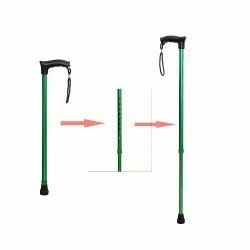 Made of high grade material, these walking sticks are known for durability, rugged construction and corrosion resistant features. In addition to this, these walking sticks are also offered to clients in different specifications and models. 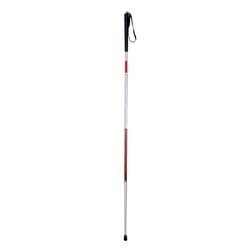 We offer these walking sticks to clients at economical prices and within the stipulated time period. Smart Care is a registered trademark of SAIFY HEALTHKART. We will actively and aggressively pursue any parties who infringe on our intellectual property rights to the maximum extent allowed by the law. All product designs, packaging designs, product images and text on this page are protected by various Indian and international patents and copyrights. mart Care is a registered trademark of SAIFY HEALTHKART. We will actively and aggressively pursue any parties who infringe on our intellectual property rights to the maximum extent allowed by the law. All product designs, packaging designs, product images and text on this page are protected by various Indian and international patents and copyrights. * This is the best folding stick, it will help you walk and keep you move. * Folds up in seconds, light weight, folds small so it fits in your handbag. It is fully adjust length, suitable for most human height. Looking for Walking Stick ?